Those who view Woodstock as just a brief stop on the way to Killington Mountain risk missing out on one of Vermont’s most scenic villages. 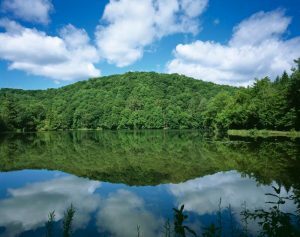 With quaint inns, covered bridges, first-class restaurants, art galleries, eclectic shops and a national park, resist the urge to drive by and instead spend some quality time exploring all this Green Mountain gem has to offer. 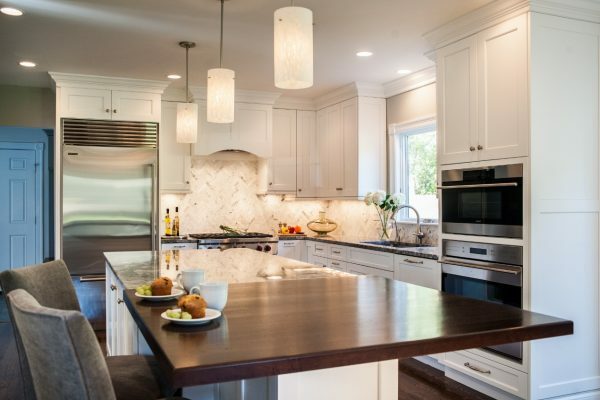 Whether you come for the day, a weekend or longer, make The Woodstock Inn and Resort the base camp for your visit. Just steps from downtown and easy walking and driving distance to most local attractions, The Inn pampers guests with charming guest rooms—many featuring wood-burning fireplaces and handcrafted beds—a nationally renowned 18-hole golf course, a luxurious spa, and four distinct restaurants featuring locally sourced ingredients. 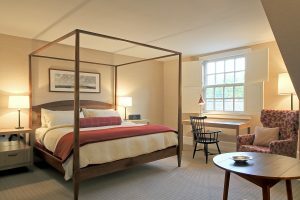 Be warned, you might be tempted to spend all your time exploring the nooks and crannies of the resort, or curled up with a good book in one of the Inn’s Adirondack chairs. Called “a cheese-lover’s paradise,” Sugarbush Farm has been making mouth-watering varietal cheese and pure maple syrup for four generations. Take the sugarhouse tour and learn how maple syrup is made, or sample more than 14 varieties of farm-fresh cheese. The farm was the first in Vermont to start packaging cheese in waxed bars, making it easy to travel without refrigeration. 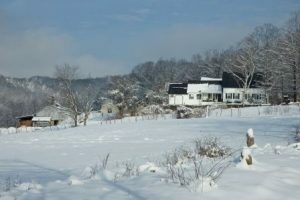 The farm’s country store is home to some of Vermont’s best jams, mustards and maple spreads, and has a thriving mail-order business, so purchases can conveniently be shipped home. 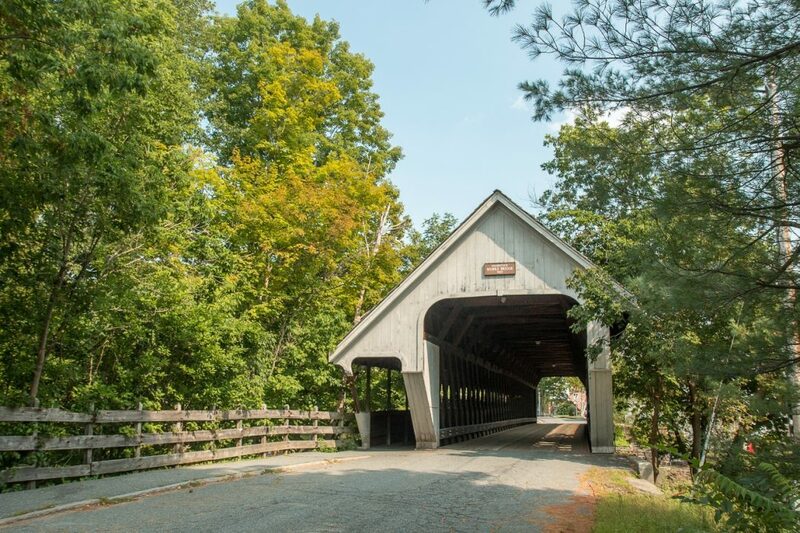 Madison County has nothing on Vermont, which claims more than 100 covered bridges in the state, three of them in Woodstock. Across the Village Green on Mountain Avenue you’ll find Middle Bridge, a relatively modern bridge built in 1969. Three miles west on Rt. 4 discover historic Lincoln Bridge dating back to 1877, and the country’s only Pratt-type truss bridge constructed of wood. Head four miles east of Rt. 4 to locate the Taftsville Bridge, Vermont’s third oldest bridge, built in 1836. Dust off your camera lens and snap a few photos as you dream of a handsome stranger waiting just across the bridge. Marsh-Billings-Rockefeller National Historical Park; photo by Carol Betsch. This 550-acre park was once the boyhood home of George Perkins Marsh, one of America’s first conservationists. The property was later owned by Frederick Billings, and then given to the American people by its final owners, Laurence and Mary Rockefeller, with the hope that visitors might learn the importance of becoming stewards of our lands. Walk through one of Vermont’s most breathtaking landscapes, along winding woodland carriage roads and trails. Visit the mansion that is preserved exactly as the Rockefellers left it, complete with their impressive art collection. Founded in 1886 by Frank Henry Gillingham, this authentic general store remains in its original building and carries the same ironclad guarantee: “Your money’s worth or your money back”. 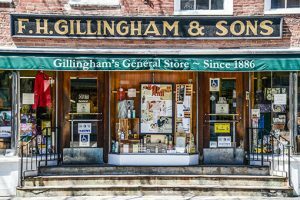 Gillingham’s great-grandsons continue to run the family business, offering locals and visitors alike a treasure trove of Vermont products, crafts and gifts. If you can’t find what you’re looking for in this 8,000 square foot emporium, you probably don’t need it. This “farm diner” features comfort foods such as buttermilk fried chicken, burgers and daily specials made with ingredients sourced from local farms. Worthy offers 18 local craft beers on draft as well as three wines on tap, hard ciders and crafted soft drinks for the designated drivers in the group. Start with a Worthy Board featuring a selection of local artisan cheeses, cured meats, jam, and crackers or the Worthy Poutine, Worthy fries smothered in duck fat gravy, confit heritage pork belly, cheddar, herbs and pickled shallots. Then try the aforementioned fried chicken, burger, or a Brisket Melt; slow cooked beef brisket with root beer and sriracha barbecue sauce, cheddar and fire roasted onions. Save room for dessert, which includes warm cinnamon donuts topped with vanilla bean cream anglaise. We’re not worthy. Top photo of Middle Bridge by Andrea Schaffer.